This is weird: I decided to give the new Fox series Lone Star a shot, mainly because I didn’t see anything too appealing up against it, and recorded it along with the NBC show Chase. Well, we, my wife and I, weren’t far into the first episode of Lone Star when an actor pops up who strikes me as familiar. “Hey,” I said, “isn’t that the guy who played Reese Witherspoon’s husband in Sweet Home Alabama?” My wife said she didn’t know. Well, from another angle, it was obvious that this was not Josh Lucas, the guy I had been thinking of. Next, we watch Chase. As soon as character Jimmy Godfrey appears on the screen, I say to my wife, “Well, I’ll be damned! There he is. That’s the guy who played her husband. Can you beat that? I thought he was in the other show and, now, he turns up in this one.” “That’s weird!” she agreed. 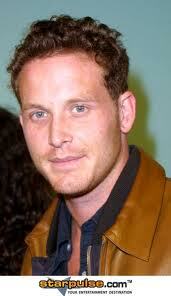 Of course, as it turns out actor Cole Hauser was not the guy who played Reese’s husband, either. But, like I said, it’s weird. In my defense, Looking at their pictures, it looks like their noses are similar. Putting aside indications of my diminished mental capacity, we gave the two shows mixed reviews. Before it was cancelled we had already made up our minds not to watch Lone Star again. It just wasn’t offering the kind of story I could get into on a long term basis. 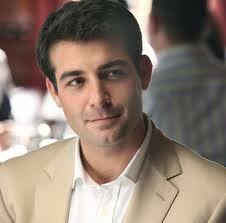 The only thing mildly interesting, aside the obligatory hot girlfriend, was James Wolk’s Clooneyesque facial contrivances. What the hell, if you have aspirations of being a heartthrob, who better to mimic. It’s sort of ironic that the show is being replaced by Season 3 of Lie To Me, another show that me and my honey removed from our potential watch-list after seeing the first episode. Go figure.